Full-size trucks, especially domestic models, all seem to follow a pretty similar blueprint when it comes to styling, but it's very different with midsize pickups. The 2017 Nissan Frontier has been around in its current form for some time now, but it's a solid looking design that's aged well. The Frontier isn't flashy, which could be part of the reason for its longevity. The Toyota Tacoma was recently restyled, but it's hard to say if the change was actually an improvement. The size and configuration of the truck remain the same, but the front fascia is odd and far from being one of the most attractive in its class. Despite its age, the Nissan still has a more appealing look about it. The 2017 Nissan Frontier offers two cab options: the King Cab (which looks and feels like what you might call an extended cab) and the Crew Cab. All King Cab models come with a 73.3-inch bed, while there's a choice between a 59.5-inch and 73.3-inch beds for the Crew Cab. 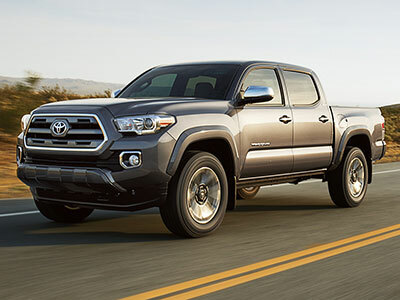 The Tacoma comes in Double Cab and Access Cab models, with two beds of approximately five and six feet. The Toyota offers half an inch more front legroom than the Nissan, but the Frontier is better for rear legroom and front and rear headroom. It's another victory here then for the Nissan Frontier. The 2017 Nissan Frontier comes with either a 4.0-liter V-6 or a 2.5-liter inline-four, which develop 261 and 152 horsepower respectively. The four-cylinder is fine if you basically want a car that doubles up as a pickup on rare occasions, but the V-6 isn't much more expensive so it's the obvious choice for most buyers. You can also have a four-cylinder in the Tacoma, if you really want one. And in this case it's a 2.7-liter unit that puts out a reasonable 159 horsepower. The go-to engine then is the 278 horsepower, 3.5-liter V-6, which is available with either a six-speed manual or six-speed automatic transmission. Since both trucks are likely to be outfitted with the V6, we'll go with the larger Frontier's 4.0-liter engine. All versions of the 2017 Nissan Frontier can tow a pretty useful 6,000 pounds, although a rear-wheel drive long wheelbase Crew Cab can up that to 6,500 pounds. As for payload, the Nissan's best is a pretty handy 1,620 pounds. The best fuel economy the Frontier can offer is an EPA-estimated 19 mpg in the city, 23 mpg on the highway and 21 mpg combined. Payload capacity for the Tundra is an identical 1,620 pounds, although the Toyota can tow slightly more at 6,800 pounds. Somewhat surprisingly though, the Tacoma's V-6 gives slightly better highway fuel economy than the four-cylinder, so its ratings of 19 mpg in the city, 24 mpg on the highway and 21 mpg combined give it the win here. Other than personal style preference, there's very small differences between with these two quality midsize pickup trucks, but one important area puts the 2017 Nissan Frontier way out in front--price. The least expensive Frontier is $5k less than the entry level Tundra, and that's a lot. 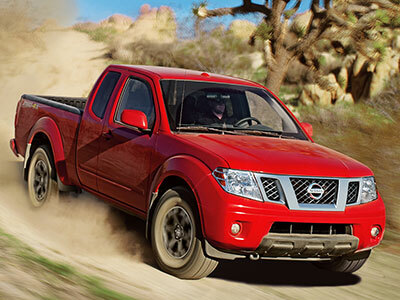 When you add all of those elements together, the Nissan Frontier is the smarter choice.